The Television Academy has revealed which awards categories would be presented during the 70th Emmy Awards and at each of the 2018 Creative Arts Emmy Awards ceremonies. The 70th Emmy Awards will telecast live from the Microsoft Theater in Los Angeles on Monday, September 17, (8:00-11:00 PM ET/5:00-8:00 PM PT) on NBC. Saturday Night Live‘s Colin Jost and Michael Che will co-host, and the telecast will be produced by Lorne Michaels (Saturday Night Live; The Tonight Show Starring Jimmy Fallon). 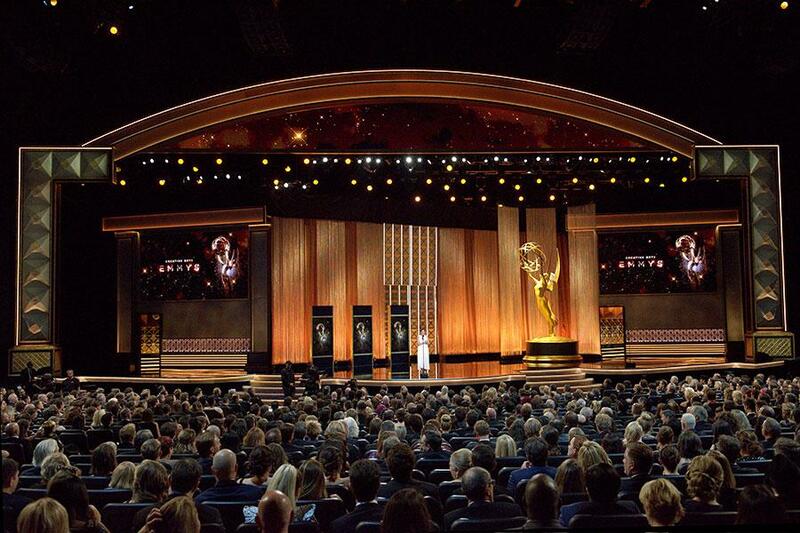 Awards presented during the 70th Emmy telecast will include Outstanding Comedy and Drama Series, Limited Series, Reality Competition, and Variety Talk and Sketch Series along with several Outstanding Acting, Directing and Writing awards. The Creative Arts ceremonies, recognizing remarkable creative and technical achievements in television, will take place over two consecutive nights — Saturday, September 8, at 5:00 PM PDT and Sunday, September 9, at 4:00 PM PDT — at the Microsoft Theater in Los Angeles and will be produced by Bob Bain and his company, Bob Bain Productions. Creative Arts Saturday will present technical and creative achievement categories for Animation and scripted programming including Comedy, Drama and Limited Series while Creative Arts Sunday will present categories related to Documentary, Reality and Variety programming. The Creative Arts Emmy Awards will air on Saturday, September 15, at 8:00 PM ET/PT on FXX. The lists below are alphabetical and do not represent the order in which the awards will be presented.